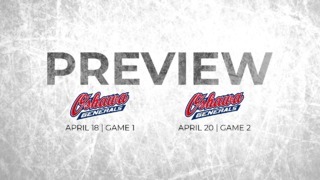 An impressive road effort fell just short for the Ottawa 67’s in Oshawa on Friday night, as the Barber Poles dropped a 5-4 decision to the Generals in a marathon, 14-round shootout. After back and forth play all night and several chances both ways in overtime, it was Kyle MacLean that finally ended things in the shootout. 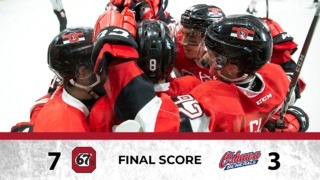 The 67’s found themselves down early as Oshawa Jumped out to a 2-0 lead thanks to goals from Daniel Antropov late in the first and Eric Henderson early in the second period. But less than four minutes after Henderson’s goal, Ottawa pulled even as Chris Martenet and Austen Keating scored to tie things up. The teams would trade goals by Oshawa’s Robbie Burt and Ottawa’s Mathieu Foget before the second was over to send the game into the third tied at three goals apiece. Tyanulin scored his team leading 20th of the year 2:29 into the third to put Ottawa ahead. Serron Noel would reply for Oshawa with just over five minutes to go in the third. 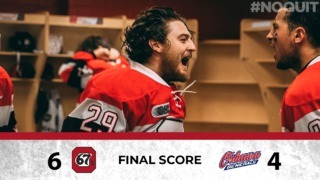 The 67’s head to Hamilton next to take on the Bulldogs on Saturday night before returning home on Family Day for a special Monday matinee versus the formidable London Knights.